Welcome to Unload and Show Clear. I am your host, Lloyd Bailey. 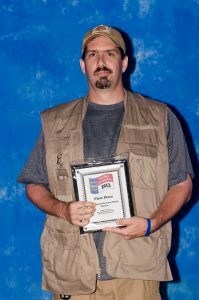 I started shooting competitively in 2011 back in western North Carolina where I grew up and I shot my first sanctioned IDPA match at the 2013 the North Carolina State Championship, just weeks before I moved to Texas. 2017 in my studio/office/dry-fire dojo. I moved to a part of Texas where IDPA and the shooting sports are huge. There are several shooting clubs in the Dallas Ft Worth area, and there are nearly a dozen matches to shoot on any given week in and around the metroplex. My home club, Collin County IDPA has over 200 members, and we host weekly IDPA matches of 5-6 stages with 40-60 shooters, we host monthly USPSA matches, 3-gun several times a year, monthly steel matches, and indoor IDPA matches twice a month. As much fun as IDPA is, what makes IDPA great is it's people. The people you meet at matches are what make IDPA so much fun. People from all walks of life, all ages, all colors, men, women, kids, rich or poor. All of them passionate about the sport, friendly, and personable. 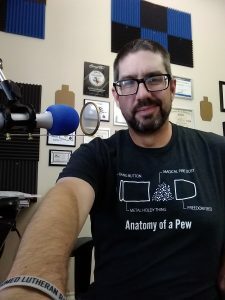 I started podcasting in 2016 and I host a weekly show called Armed Lutheran Radio. On four episodes of the show I hosted a round-table of friends from IDPA to talk about the sport and two of those episodes are still the most listened to episodes of the over 130+ shows we have done. And that's where I got the idea for Unload and Show Clear.